We’ve known for quite a while that G4, the cable network most famous for pandering to gamers and the tech literate, would be closing down. Today marked the final hoorah for almost all of G4’s staff, thus it seems timely that The Hollywood Reporter would bring word of what direction the network might take now that it’s no longer focused on Xboxes, PlayStations and the kind of juvenile chauvinism that depressingly seems to follow gamer culture wherever it goes. According to The Hollywood Reporter, NBCUniversal and the Hearst Corporation have just signed a deal to rebrand G4 as the “Esquire Channel.” Hearst is the parent company of Esquire magazine, and as the name change suggests, NBCUniversal hopes that the new G4 will primarily feature content aimed at the same male demographic that has made the aforementioned monthly broadside such a long-running success. “The effort is designed to capture a growing, upscale demographic that isn’t being reached through other male networks, including adrenaline-heavy Spike and History,” THR’s report claims, shortly after glibly characterizing this “growing, upscale demographic” as “metrosexual” in the story’s lede. 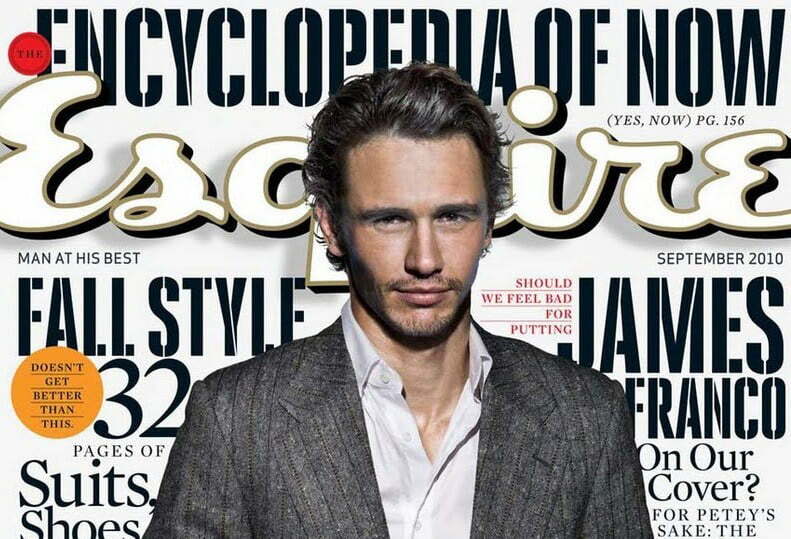 Meanwhile, as speculation continues over the evolution of G4, sources say the channel may be looking to partner with Esquire magazine (or another men’s periodical, like GQ) as it moves into a more upscale, sophisticated guy TV space. Among the possible new names for the channel: “G4Men.” Some programming is expected to remain, including Bomb Patrol: Afghanistan, while acquired fare from the likes of Anthony Bourdain and Aziz Ansari could be in the mix. Today’s Hollywood Reporter piece echoes TV Guide’s latter comments. It claims that programming on the imminent Esquire Channel will focus primarily on fashion, cooking, travel and all those other “sophisticated” topics found in the pages of its namesake periodical. This rebranding effort will reportedly take place in the first half of next year, as THR’s sources claim that some of this new programming is already in production. Once enough content has been accumulated, the name change will be made official and your cable box will no longer house a channel ostensibly dedicated to gamer culture. While we’re sure this comes as unwelcome news to some of you, let’s be honest: The modern G4 has strayed so far from its roots that it’s currently less a network about video games than a pay-cable alternative to Spike TV. We mourn what G4 was initially supposed to be, but we’re finding it hard to muster much sadness at the passing of the network’s modern incarnation. With 500-plus channels available to the modern viewer, it’s just not that difficult to find a rerun of Cops whenever you get the urge, and as such it’s long been difficult to justify G4’s existence. If anything, it’s long overdue that someone put the channel out of its misery.